Serious synthesizer and vocoder functionality in a compact package --- the microKORG. A bright new color appears for 15th anniversary of microKORG. 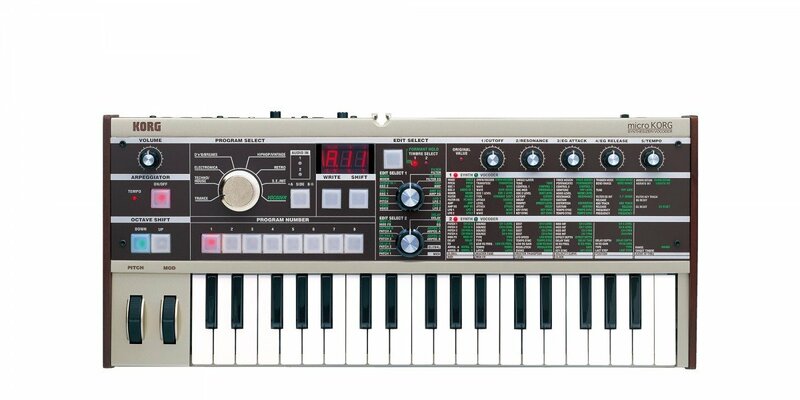 It has been fifteen years since microKORG’s release in 2002, and now in 2017, a 15th anniversary platinum-color model is now available. The stylish operating panel features a bright color scheme unified by accents such as black wood panels at left and right, making it an exciting color variation model new to the microKORG. *A limited number of microKORG PT units will be sold. All specifications other than color are identical to the microKORG model.